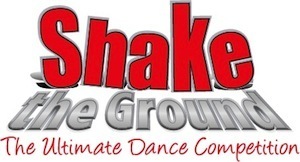 Shake the Ground (STG) continues its reputation an extraordinary leader in the dance competition arena. If you have not yet attended, you are missing out on one of the most exciting competitions ever! At a Shake the Ground competition, each dancer has an opportunity to take FREE Master Classes taught by world-renowned teachers, receive Special Awards and Prizes, and receive Scholarships to some of the most elite summer dance intensive programs. Over $150,000 is awarded in Scholarships. As a result, these dancers attended world-class summer programs like the Joffrey Ballet School, JBS/STG Hip-Hop Summer Intensive, Broadway Dance Center, Sarasota Ballet, Modas Dance, Move the Initiative, and Peridance NY – to name a few. Shake The Ground: The Ultimate Dance Competition Professional judges Missy Catlin, Duncan Cooper, Charmaine Hunter, Kelly King, Jona Biddle, Meg Paul, Casie Tynee Goshow and many more will come together to critique, teach and award scholarships and prizes to incredibly talented young dancers throughout the STG Regionals. The 2019 season is just about to kick off and it will bring even more excitement, scholarships and fun to every city on our tour. The season ends with the Nationals weekend that includes an incredible four days of fun and exciting events, like themed movie nights, pool parties, master classes and an incredible awards gala. The weekend is always more than a competition—a true family event. 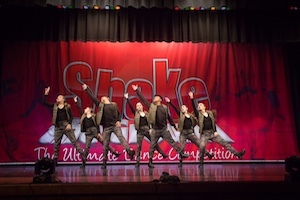 Shake The Ground: The Ultimate Dance Competition includes multiple dance styles, like contemporary, hip-hop, modern, ballet, tap, jazz , flamenco, Acro, Fusion, Ballroom and Improv. STG will be awarding the 2019 Regional Tour Summer Intensive Scholarships to Peridance NY, Broadway Dance Center NY, Move the Initiative, Art of Movement, CloseUp Experience, The Joffrey Ballet NY & LA Ballet, Contemporary/Jazz, Broadway, and Hip-Hop programs! Missy Catlin, Duncan Cooper, Charmaine Hunter, Kelly King, Jona Biddle, Meg Paul, Casie Tynee Goshow and many more.